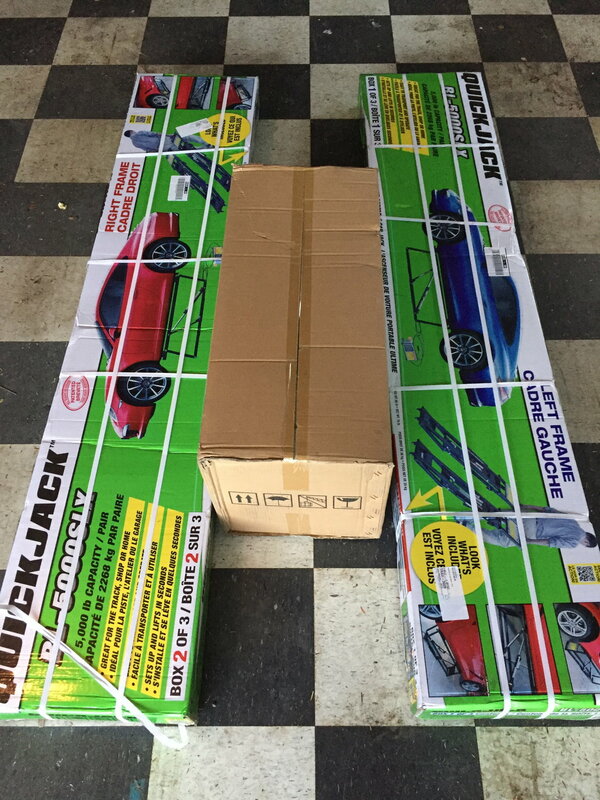 FWIW just got my latest Costco ad and it has 5,000# quickjack for $1100 delivered. i just ordered mine from Costco, too good a price to miss. As a couple of members in this thread mentioned, I am now using my QJ with the 4" blocks instead of the 3" and the special lifting pucks. The pucks wouldn't stay in the holes, so trying to line those up, raise the jack just a bit, and then lining it all up was such a pain. So tried the rubber blocks and voila made it easy. Love the QJ, for oil change, and all my detailing work. Can leave the car up on it all week too which helps get little things done with the wheels off. Ordered a Quickjack from Costco today. Waiting 5 to 7 days for delivery. I am thinking life just got a little bit easier. Looking forward to using it! look what arrived today from Costco. I can’t wait to try it this weekend. YOU NEED 2.5 quarts of Automatic Transmission Fluid to make it work. Pick that up before you plan to put it together. Any fluid will work, synthetic or otherwise. Pour it in the reservoir and make sure the cap is tight, but make sure the vent is not tight. I left mine tight, and about vacuum crunched the reservoir when raising the lift. Also-----you will need a SMALL amount of compressed air to fill the two small tubes. 50lbs each max. It takes a very very very small amount of air to get them to 50lbs. Use the 4" blocks right under the holes for lifting and you will be set. Raise the lift partially up and down several times before using with car. DOnt raise it all the way up without weight on them. Hope all that helps, love mine alot. Got a M3 on it right now and been in the air for a week now. The Quick Jack videos will also help you to get the setup perfect. Thanks guys. I was going to ask about th oil. I’ll do this on Friday (day working from home).